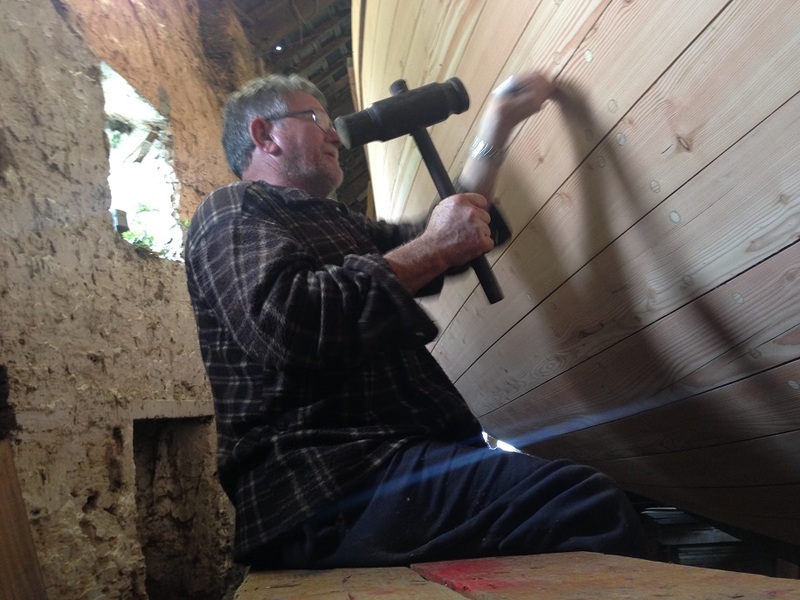 A RARE celebration for Limerick’s growing fleet of boat builders has been witnessed, as the ‘whiskey plank’ was nailed into the hull of the historic AK Ilen. The famous vessel was sailed to the Falklands Islands by Conor O’Brien, an Oxford-educated Limerickman and the first Irishman to circumnavigate the globe, in 1927. Some seven decades later another son of Limerick, Gary MacMahon, a sailor himself, flew to the Falklands and purchased this piece of living history, Ireland’s largest original wooden sailing ship, with a capacity of 43 tonnes. Since 1998, after thousands of hours of restoring the ship to its former glory, the project has also seen waves of success, breeding life into Ilen School & Network for Wooden Boat Building in Roxboro, which opened in 2008. 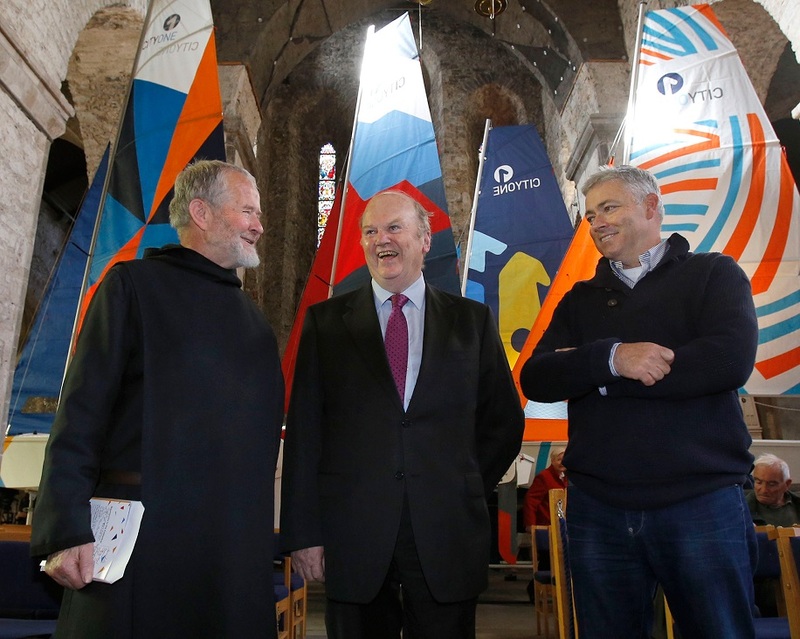 Br Anthony Keane, of Glenstal Abbey, one of the directors the school, said the ceremony was “a celebration of an arrival at one of our many destinations – the completion of the hull. “We must remember that it is destined to go to sea. It has been very beautiful every step of the way. We hope that it has a purpose, and a final cause, and hopefully it’ll go to sea in 2016 or 2017. We’ll sail wherever the Holy Spirit and the wind blows us,” said Br Anthony. Early experience of working on the boat confirmed a strong belief held by Gary that working with wood, “labour-intensive work”, could provide a transformative experience for participants, and that others could too be consumed by “the mystery” of building boats, both contemporary and traditional. “The Ilen is almost a sub-project of the school now,” he told the Limerick Leader, pointing to their other successes in their expansive workshop in the LEDP – gandelows, currachs, and the City One dinghy, a faster, high performing vessel. Their projects have taken them to the Aran Islands and Venice, and they say, the beauty of this project is that there is no final destination in sight. 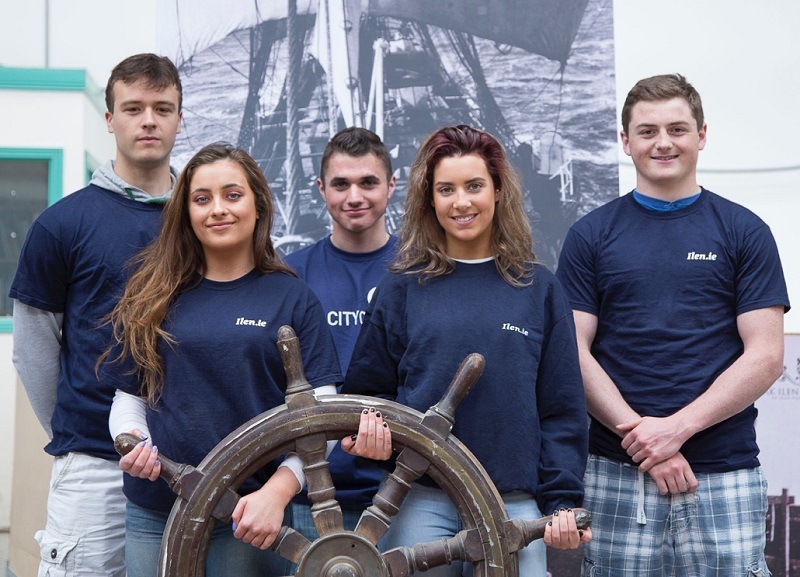 Since its acquisition, it is the boat-building school itself that has really set sail, counting as many as 60 students a week, coming from across the country and as far away as Brazil, New Zealand, Maine in the US, and Greece, working on all types of fleets. Organisations such as Headway, which supports people with acquired brain injuries, are among those who have seen their clients reap the benefits of their growing array of programmes. “It’s really a convivial place where people can come in and out as it suits them; it has an open door, and there are also prescribed classes. We don’t have a complicated administration process. If you walk in the door and you like it, you stay. “The important thing is having people working with their hands and working in groups. It’s very simple – it’s a roof, it’s benches, it’s working with unrefined materials, and working with people who are really passionate about what they do, and it rubs off almost through osmosis,” he said. All of their instructors come out of industry, not the teaching profession, “and know their stuff inside out. “They’re natural teachers, intuitive and learning as they go, and the gaps between the teacher and the pupil are stepped down,” Gary explained. 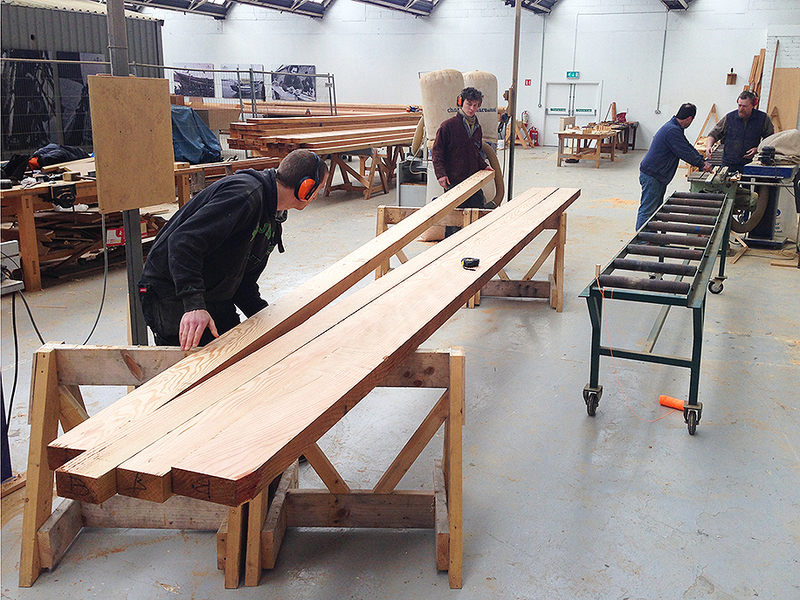 Many of the instructors, from carpentry backgrounds for instance, have used the opportunity to upskill, working to strict building specifications from the Department of the Marine, and using a variety of wood – larch, oak, ash, black locus, pine, spruce – to build a stronger vessel. They don’t think about the school in numbers, he said; quantity isn’t how they measure their success.